First, students put away any electronic devices and instead reference this handout (Google Doc – to be printed). 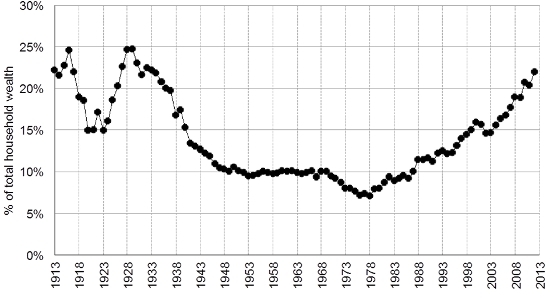 Consider this chart from researchers at the London School of Economics showing the “share of total U.S. wealth owned by the top 0.1 percent of families, 1913-2012.” Note: we only have data going back to 1913 because of legal changes ushered in by the sixteenth amendment to the U.S. Constitution, but the chart helps show the fall and rise of wealth concentration personified by the captains of industry/robber barons discussed last class. George uses the following analogy: “Murder is a crime; but it is not a crime to be murdered” (Zinn and Arnove, 216). If we follow his line of argumentation, who does he think might be responsible for the “crime of poverty”? Do you agree with his conclusion? Why or why not? If individuals that are poor are not responsible for their economic condition, what kind of “conditions imposed by society at large” might be at fault? (Zinn and Arnove, 217). George argues that poverty “runs through all classes.” Why does he make this argument? Can you think of a concrete way in which middle- or high-income people also might suffer from the existence of poverty (Zinn and Arnove, 216)? 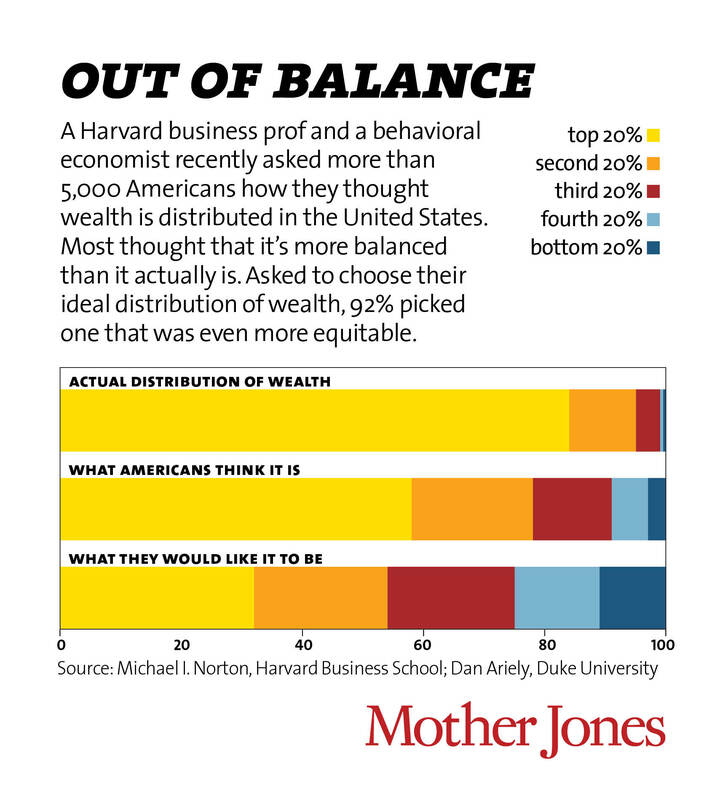 (One way to reframe this is to think about the link between poverty and inequality). George suggests that “nine tenths of human misery . . . [is] due to poverty.” (Zinn and Arnove, 217). In what ways does poverty lead to a decline in quality of life in the individuals that experience it as well as their neighbors and fellow community members? If “man’s ability to produce wealth seems almost infinite” (Zinn and Arnove, 217), is it possible to direct some of that energy to the eradication of poverty? Is this a goal worth pursuing? ​​The proposition of this video—as well as of Henry George—is that poverty is a problem that is solvable. Do you agree with this argument in the context of a free-market system? Why or why not?